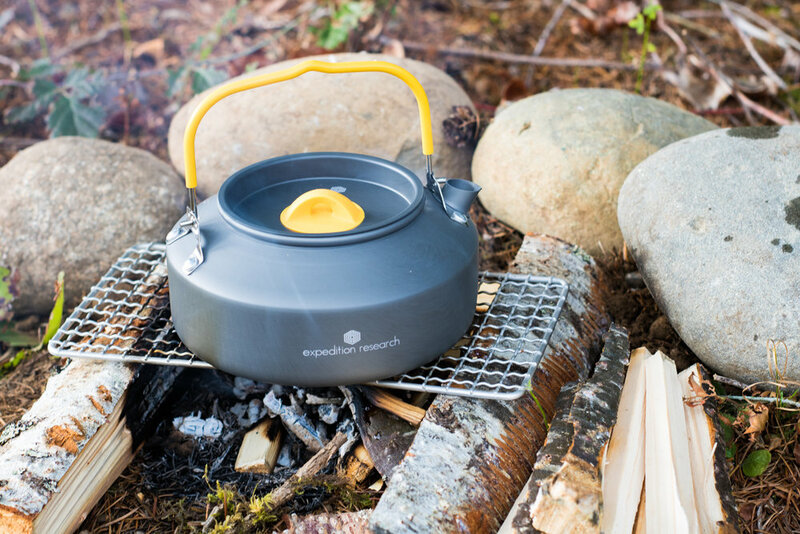 At Expedition Research, we have taken the time to research and design a kettle that will improve your outdoor experience. The hard anodized aluminum construction guarantees a strong and durable kettle, while also keeping your pack light with its ultra-light design. The kettle also boasts a lid that stays on even with a 90 degree pour from its "micro-pour" precision spout. Our kettle's silicone coated handle sets it apart from other kettles with its "stand up" and "lock down" handle. With the handle in the "stand up" position, your handle will be further from the open flame while the handle in the "lock down" position provides safe storage as well as no more annoying rattling in your pack as you enjoy your outdoor adventure.